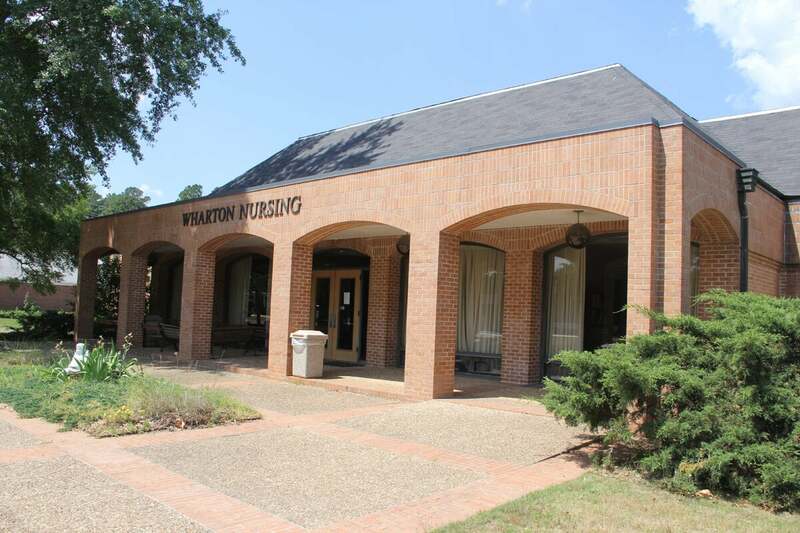 Wharton was built in 1963 and housed one lecture hall, one classroom, two small laboratories, seven offices, and storage space. The new addition and renovations were completed in two phases. Phase 1 was conducted January through March of 2007 and included connecting the building to the University’s district cooling loop, renovations to the mechanical room and design work necessary for Phase II. All work connected to Phase I was made possible through a Health Resources and Services Administration (HRSA) grant of $334,000 sponsored by Congressman Ross. Phase II included renovation of three existing classroom/laboratories and the addition of 10,287 square feet in new classrooms/laboratories, offices, support facilities and parking. This phase was conducted February through November 2008, cost approximately $1.9 million and raised total square footage to 25,114. The building addition was designed by CADM architects of El Dorado, Arkansas and constructed by general contractor Coker Building Company Inc. of Arkansas. The new addition to Wharton, completed in fall 2008, provides an additional 9,116 square feet of space. This includes two laboratories/lecture halls, two classrooms, a computer lab, seven offices, four training cubicles, and additional storage rooms. The Nursing Program now offers both associate and baccalaureate degrees; hopefully this expansion will help enable SAU to confer graduate degrees in Nursing.